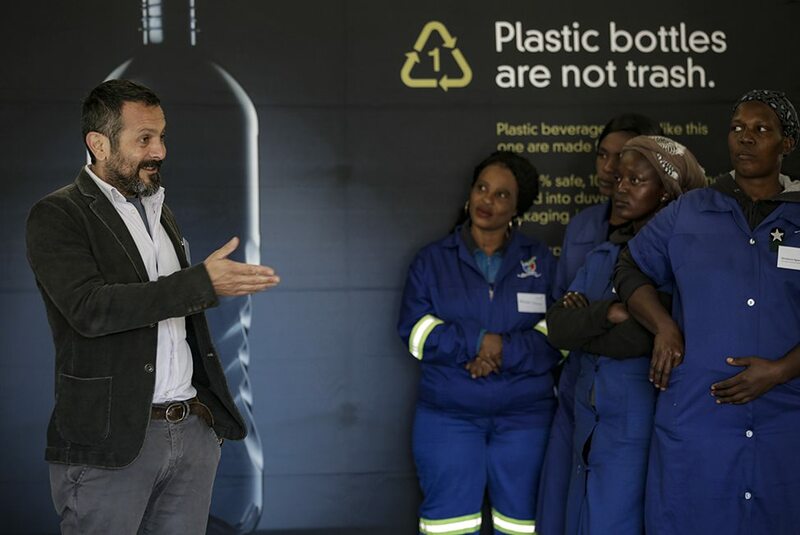 Serioplast director Alessandro Innocenti (far left) speaks to attendees at the handover of new baling machines and other equipment to recycling SMMEs, including CJU Environmental Management members (from left) Patricia Skosana, Badanile Nzimande and Aluwani Musetsho. Recycling SMMEs received support from the PET recycling sector earlier this month in the form of equipment that will enable their effective participation in the mandatory recycling programme launched by the City of Ekurhuleni this month. This follows concerns from small industry players and informal waste collectors that they could be sidelined by the new “separation-at-source” municipal recycling initiative. PET plastic bottle producer Serioplast and the PET Recycling Company (PETCO) donated the equipment – baling machines, industrial platform scales and signage – to local SMMEs with the aims of improving the collection, weighing and baling of recyclable material for resale to recycling businesses. 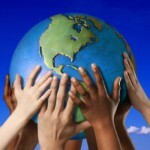 More beneficiaries are set to receive similar donations from PETCO in the coming weeks. 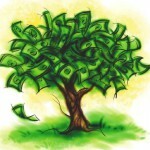 The Gauteng-based small businesses included Ekhuliza Gauteng Primary Cooperative and CJU Environmental Management in Boksburg and Lakhwisha Holdings in Vosloorus. 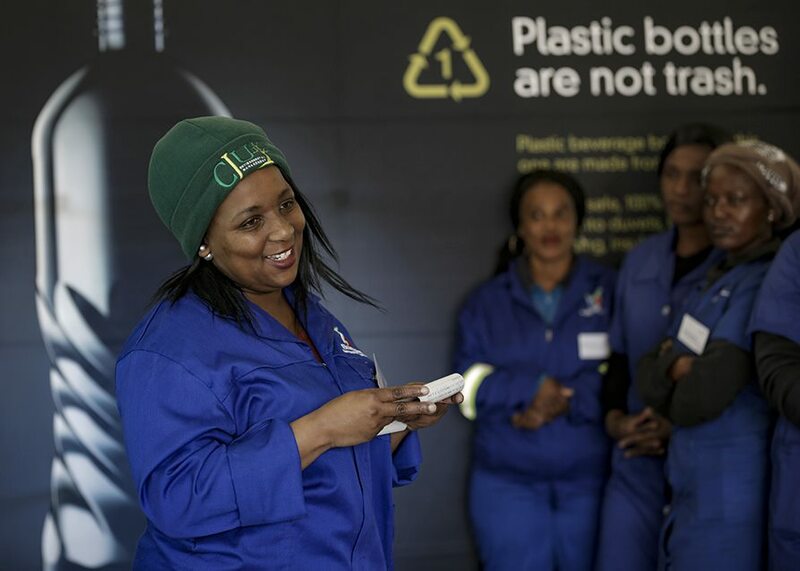 Speaking after the event, which was hosted in partnership with the City of Ekurhuleni, PETCO chief executive officer Cheri Scholtz said the citywide household recycling initiative was a positive step forward in creating a recycling consciousness among ordinary South Africans. CJU Environmental Management’s Phumla Mjonono addresses guests during the handover of baling machines to recycling SMMEs at a ceremony in Johannesburg on Friday. “It is also an important opportunity for local government and industry stakeholders to develop meaningful strategies for waste reduction as well as an inclusive framework that facilitates participation and creates income-generating opportunities for businesses of all sizes,” she said. Scholtz said PET recycling had been particularly effective in creating a “circular economy”, with plastic water and soft drink bottles offering post-consumer value to waste collectors and recyclers, while also reducing producers’ need for virgin PET material. “The hard work and efforts of all players in the PET value chain – from brand owners and producers to individual waste pickers – allowed us to recycle 2.15 billion bottles in 2017. 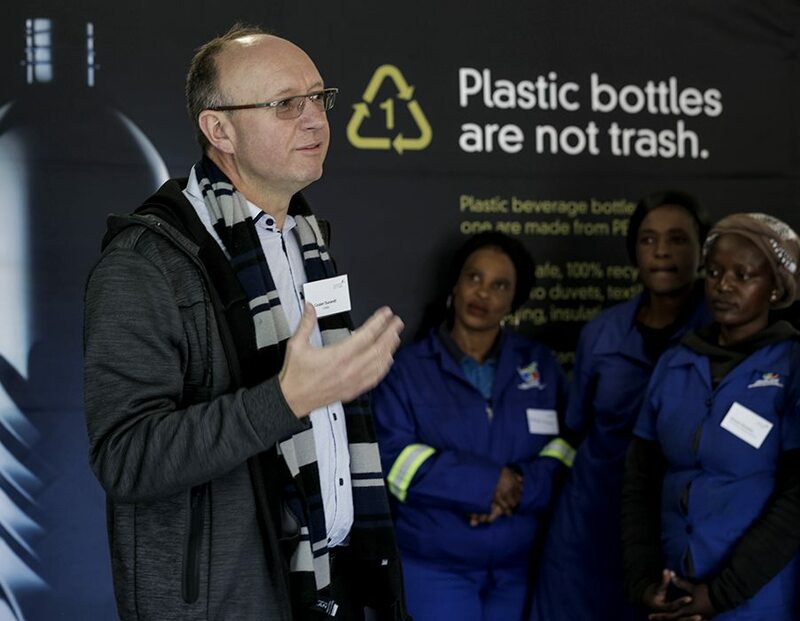 National PET Recycling Company (PETCO) chairman Casper Durandt (far left) addresses recycling SMME representatives, including (from left) Patricia Skosana, Badanile Nzimande and Aluwani Musetsho from CJU Environmental Management. Serioplast director Alessandro Innocenti said, as a bottle converter, the company was aware of plastic’s potentially negative environmental impact and that, instead of dumping bottles in landfill sites, it was vital to find ways of unlocking the value in waste and giving it new life.